AUGUSTA, Sicily --- The Italian Navy ships Sirio, Orione and Bettica, of the Naval Patrol Force Command for Coastal Surveillance and Defense (Comando delle Forze da Pattugliamento per la Sorveglianza e la Difesa Costiera, COMFORPAT) have been designated for the evaluation trials of the AgustaWestalnd AW139 aircraft. 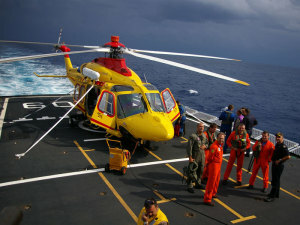 The first unit to be introduced to this helicopter, which was being used on naval operations for the first time, was Sirio, which carried out deck landings, take-offs and deck lashing. 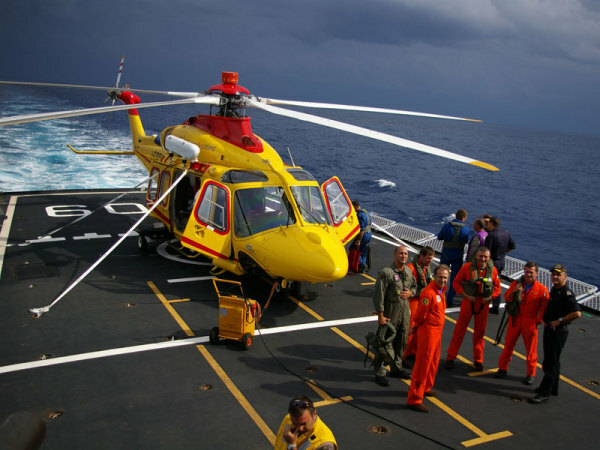 After tests to verify possible interference between the ship’s on-board radio and radar systems and the helicopter’s avionics, the test pilots flew to the ship Orione where they will continue the trials before a final evaluation on the ship Comandante Bettica.